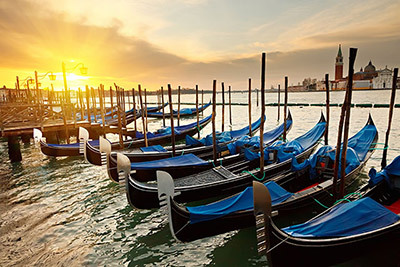 Car hire Venice airport Marco Polo and Mestre Italy provides you with the best fares and low cost car rental at the Venice Airport (VCE) Marco Polo terminal - located in Viale Galileo Galilei, 30/1, 30030 Tessera. Are you going to spend your holidays in Venice Italy and want to visit the town and its beautiful surroundings or want to reach easily the amazing towns of Treviso, Verona and Padua or the beaches of Jesolo? Then we have the solution for you: cheap car rental and the best deals with the most important car hire companies in Venice like AutoEuropa, AutoServizi Maggiore, Autotravel - Sixt, Avis, Europcar Italia, Hertz, Italy by car - Thrifty, Locauto and Budget. The rental desks are located inside the Venice terminal. The cars are in an outdoor parking area which is a 100 meter-walk from the terminal. 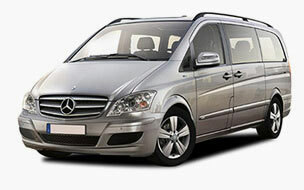 Car hire Venice Marco Polo provides you with a wide range of world class autos and exceptional rental car rates. The fleet usually ranges from luxury car (BMW 3 series, Mercedes E Class,Saab 9-3), to mini (Peugeot 107, Smart), economy and standard cars. But you can choose also minivan (Ford Galaxy 7 seater, Citroen Jumper 8 seater, Mercedes Vito 9 seater), 12 passenger van, SUV and Smart. The car will allow you to do some shopping and stop as often as you want at a cafe or a bar and dine by candlelight wherever you like or moving from one city to another. In short, a car rental at the Venice airport is the best way to not give up comfort and independence. Free quotation, no excess, no deposit. Get a quote for free using the form on this page. Remember that for the car reservation to be successful you must have a valid credit card (prepaid cards are accepted only for online bookings but at the airport’s counter you will be asked for a real credit card) with sufficient funds to cover the deposit depending on the model chosen and the hire period. On our website during the booking process you can also buy a zero-excess car hire insurance. New route from the Venice airport to Alghero in Sardinia with the low-cost company EasyJet for the summer 2017. Together with Olbia the passengers have more choices for summer holidays in this beautiful Mediterranean island. Flights on Wednesdays and Saturdays. Travel to Sardinia and rent a car with carrentalinsardinia.com. Venice is a city rich in history, very romantic, very suitable for couples but not only, in Venice you cannot go only once and a few days are not enough to see everything. Its heart is Piazza San Marco where there is also the Romanesque-Byzantine basilica, one of the most beautiful Italian churches, but you cannot, however, forget to visit the famous Ponte dei Sospiri (Bridge of Sighs), where prisoners passed by to go from the courts to the prisons. From these jails the historical character Casanova managed to escape. The Ducal Palace is one of the most beautiful buildings in Italy. The Rialto Bridge, built in 1588, is an attraction for many tourists. Then there are the palaces of the ancient Venetian noble families, such as Cà d'oro and all the churches that this city has, revealing to be a true open-air museum. La Serenissima is divided in two parts from the Grand Canal, the main channel, where you can admire the beauty of this city by the gondolas. Venice built entirely on the sea, spread over 118 small islands, which in turn are crossed by 150 canals, connected by bridges. Venice has been declared a World Heritage in 1979. The city attracts millions of tourists every year, a number higher than that of the population living there. One of the major attractions is the famous Carnival of the city with beautiful costumes and masks decorated by hand. The historic centre of the city is divided into six districts: San Marco, Cannaregio, Castello, Dorsoduro, San Polo and Santa Croce. The islands not to be missed for any reason are Murano, famous for its artistic glass production and Burano, colourful and enchanting landscape. Finally, do not forget the Lido of Venice, which is located between the Venetian lagoon and the Adriatic Sea, where there is also the Palazzo del Cinema.